I have been celebrating Dr. Seuss's birthday with my family since 2007 and blogging about our Dr. Seuss reading experiences since 2010. 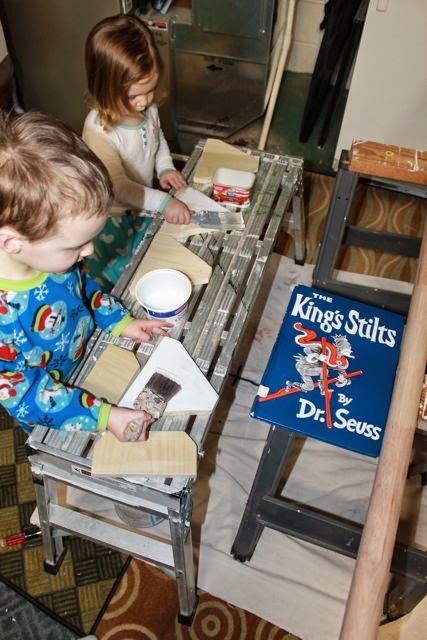 We have brought to life many of Dr. Seuss's books with family activities. This year's birthday celebration activity would not have happened without my father-in-law. I could effectively use only a screwdriver, a hammer, and occasionally a wrench to make a household repair when we bought our first home. However, I quickly learned that a new home requires a lot of attention. There were many phone calls to my father-in-law and he happily stopped over after work or gave up part of his weekend to help us out. The King's Stilts was published in 1939, proceeded by a couple of our favorites And to Think I Saw it on Mulberry Street and The 500 Hats of Bartholmew Cubbins. 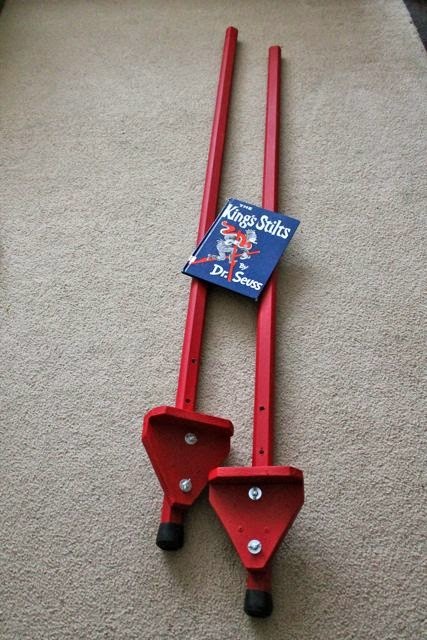 Sales of The King's Stilts were small totaling just over 4,600 (wikipedia). If you are lucky enough to find a first edition of The King's Stilts you would have a book worth over $5,000! It ranks 6th on a list of the most valuable children's books of all-time. (1st Editions). 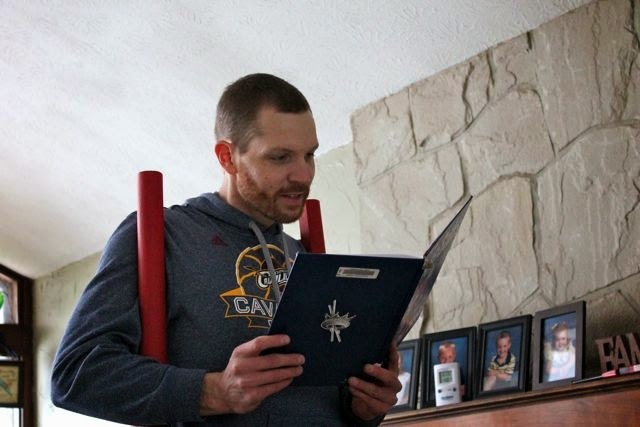 I am a huge fan of Dr. Seuss's early books, my children loved The King's Stilts, and it led to one of our most memorable Dr. Seuss birthday celebrations ever! King Bertram worked hard to manage and protect the Kingdom of Binn which rested below sea level. The traditional kingly duties like signing the "important papers of state" kept King Bertram busy for much of the early morning, but the rest of his working hours were spent monitoring the Dike Trees. The Dike Trees encircled the kingdom, with roots intertwined, holding back the waters of the sea. The unfortunate situation for the Kingdom of Binn was complicated by the Nizzards; large blackbirds with red-tufted necks and sharp beaks that feasted on the roots of the Dike Trees. Now, King Bertram "when he worked, he really worked...but when he played, he really played!" At five o'clock each day it was time for King Bertram to have fun. 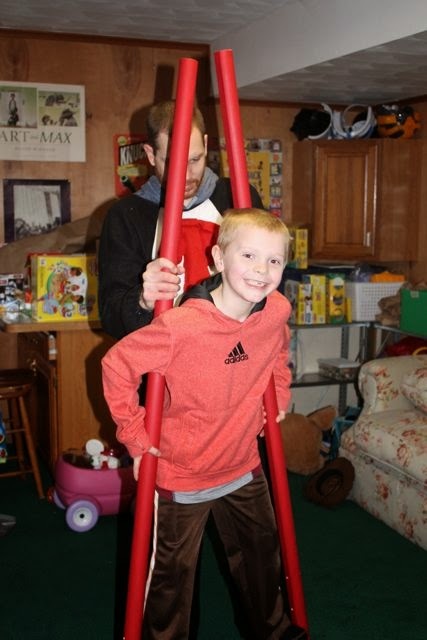 His favorite leisure activity was racing on his red stilts, often with his page boy, Eric. King Bertram was able to get time away from the Dike Trees with the help of his Patrol Cats; one thousand cats specially trained to fend off the Nizzards. King Bertram and Eric would run all over the kingdom much to the dismay of Lord Droon. He thought it was ridiculous for a king to be prancing about in front of the townsfolk on stilts. Lord Droon took matters into his own hands, stole the King's stilts, and forced Eric to bury them in the ground. King Bertram became very depressed without his stilts. His attention to his duties and to the Patrol Cats suffered. As a result, the Nizzards wreaked havoc on the Dike Trees and a small leak appeared. Eric realized that without the stilts the King would not be fit to keep the people safe. Eventually, Eric decides to tell the King about the buried stilts despite Lord Droon's threats, but would it be in time to save the Kingdom of Binn? 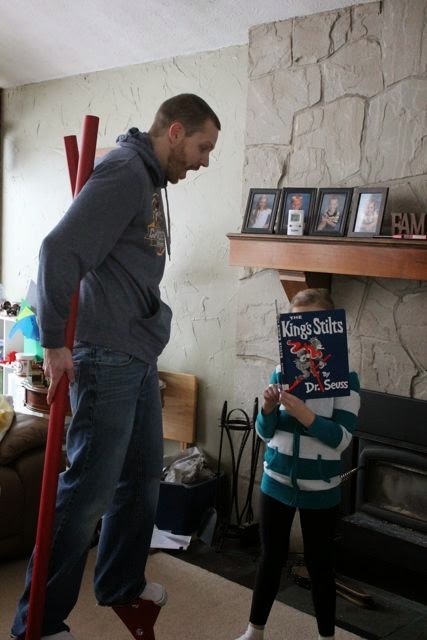 Our family first read The King's Stilts last year when we were coming up with ideas for our Dr. Seuss Reading Experience. 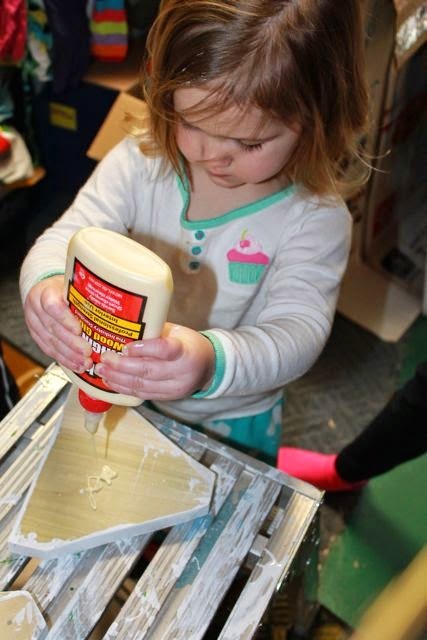 (Check out this link and many more at the bottom of this post for Dr. Seuss extension activity ideas!) 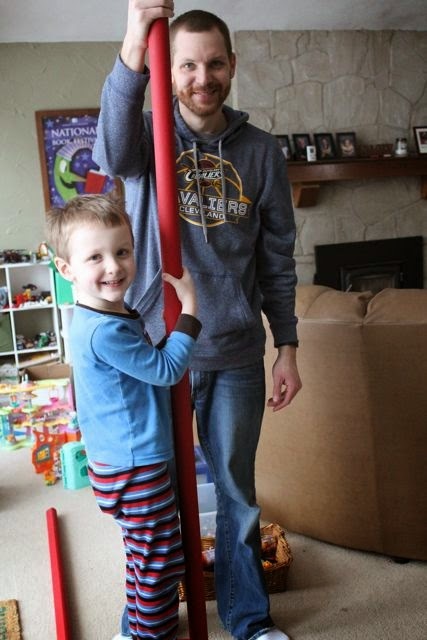 When I read the book I thought it would be awesome to build a set of stilts with my children. 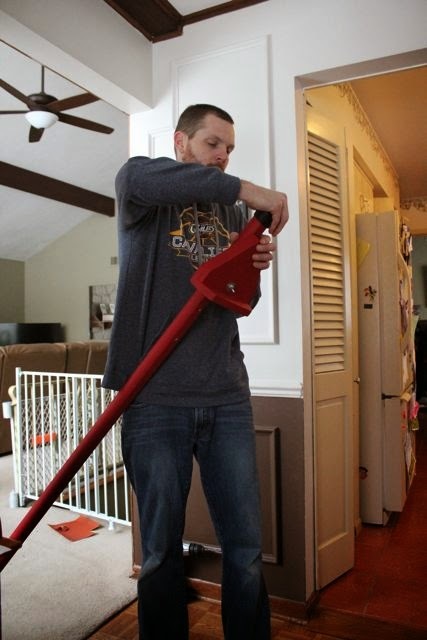 This year, I found a great video, step-by-step instructions, and templates from This Old House on how to build stilts. 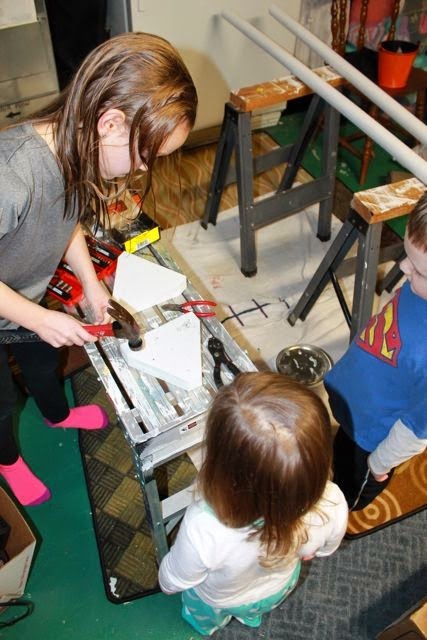 My new found confidence with tools and carpentry projects had me feeling like I could accomplish making The King's Stilts with my family! 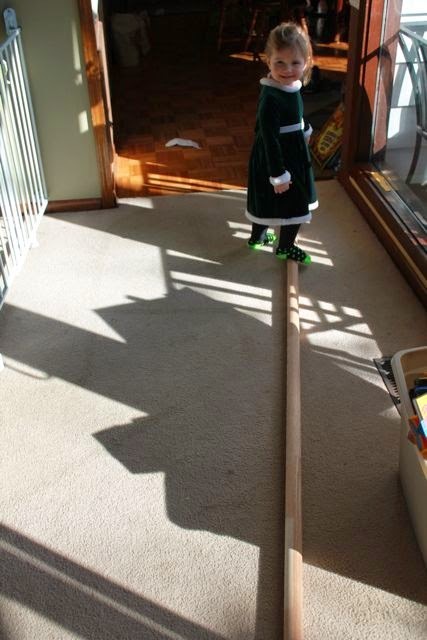 My daughter and I went to the store and purchased all the supplies for the project including a 12-foot handrail. I cut the handrail in half to give us 2 six-foot poles. My daughter helped me sand the edges. The provided templates from This Old House made it easy to trace the shapes that would become the footplates of the stilts. Not only has my father-in-law taught me everything I know about tools, he has given me many cool Christmas presents. 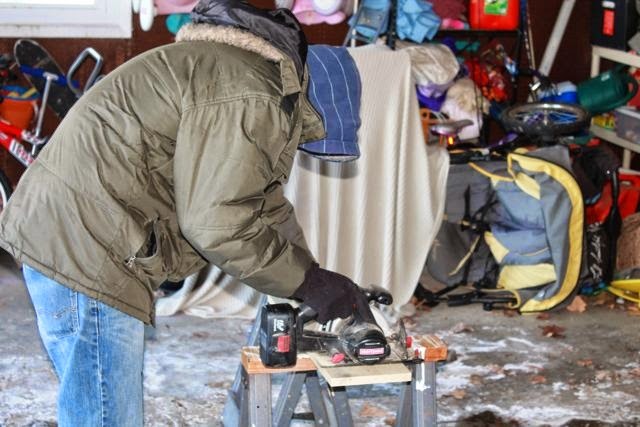 This circular saw was one of those gifts. 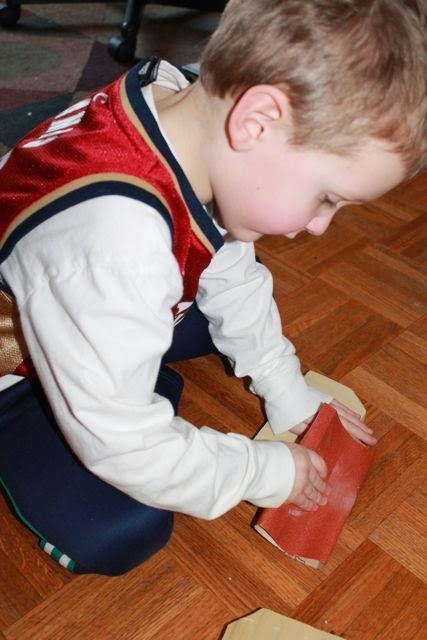 Sanding was one of their favorite steps of this project. We primed all the wood pieces. My little ones chose to paint in their jammies. 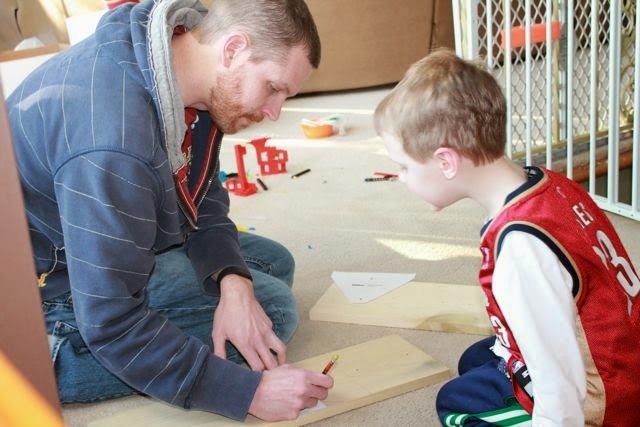 This project offered ways for everyone in the family to contribute. My daughter helped glue pieces of the footplates together. 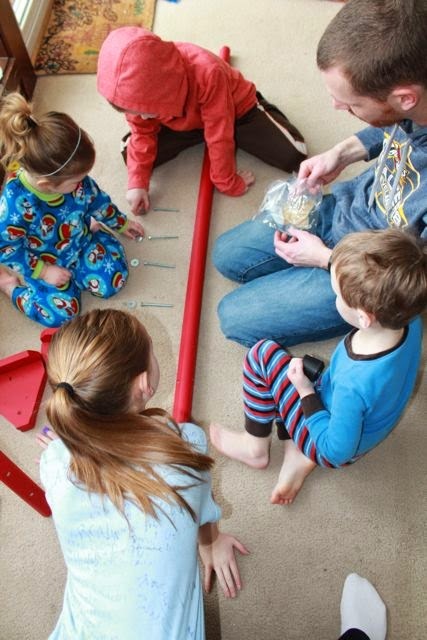 Pre-drilled holes allowed everyone to have a turn at hammering, too! 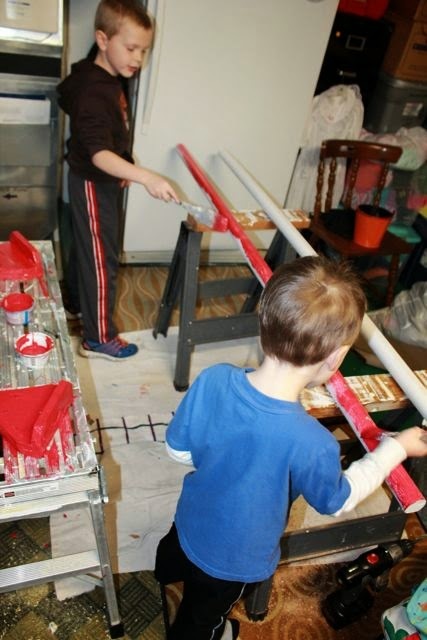 Our stilts were painted red just like the King's stilts. I lost count of how many coats of red paint were needed! I let the stilts dry overnight. The next morning we sorted the hardware. 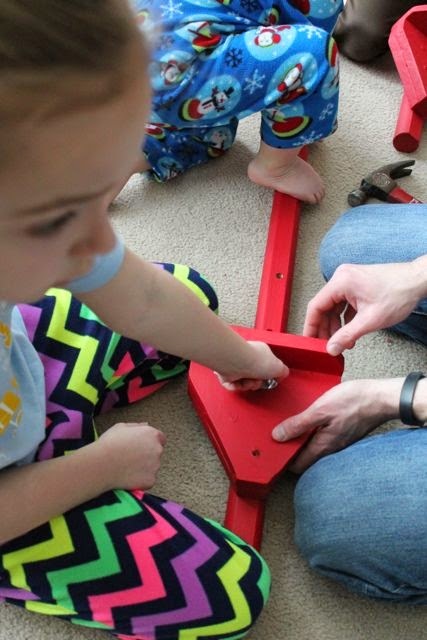 There was just enough bolts for each of my children to help. My daughter made sure the wing-nuts were on tight. 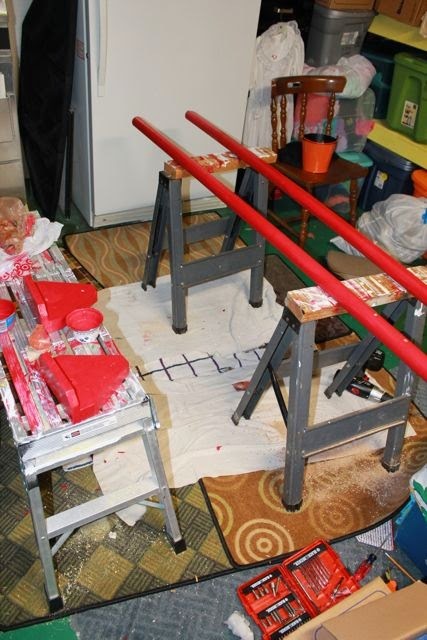 The last step was to place rubber leg tips on each stilt. I found these on Amazon. 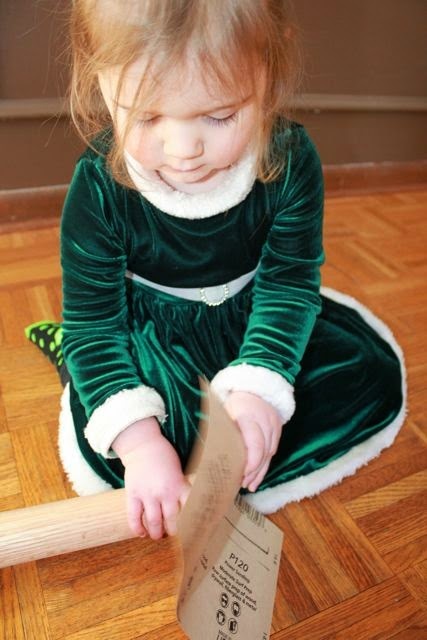 I tried them out for the first time while my daughter posed with the book. 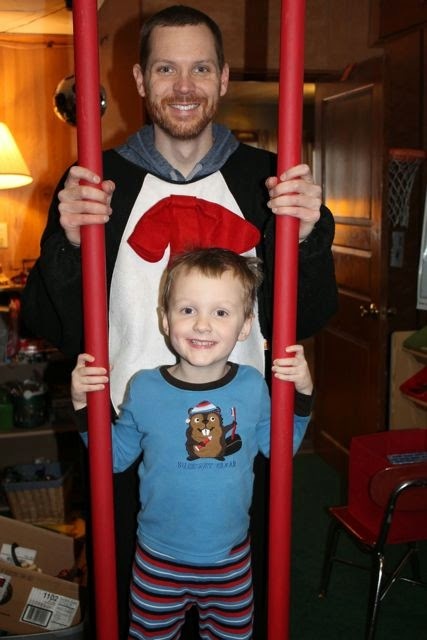 Later, I dressed up in my Cat in the Hat costume! 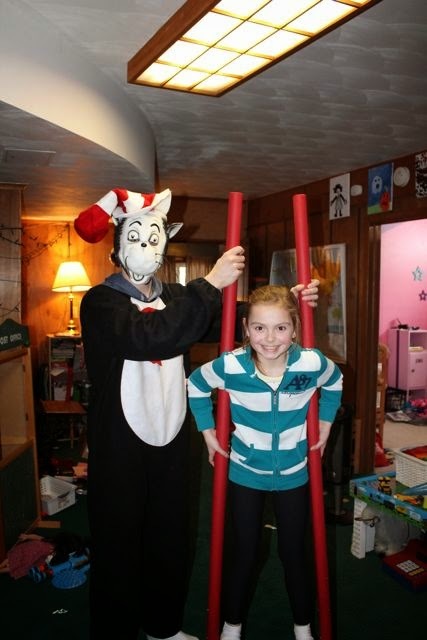 The Cat in the Hat helped everyone try out the stilts. Walking on stilts was harder than they thought it would be. We can't wait to try them outside when the weather is sunny and warm (and there is no threat to falling into furniture!). Everyone helped on this project in some way, but this little guy was there every step of the way. Thanks for your help, little man! The King's Stilts! Please pin this picture to Pinterest. Follow Happy Birthday Author on Pinterest. 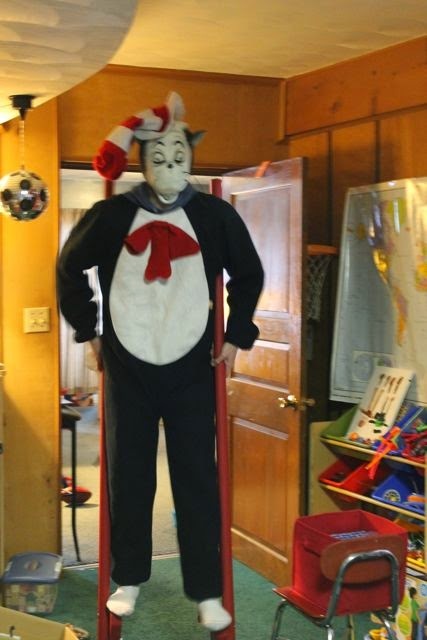 If you see me running around town in my Cat in the Hat costume on The King's Stilts today, you can blame my father-in-law! I hope everyone enjoys this exciting day of reading together. Let me know what Dr. Seuss books you read by leaving a comment below. I would love to hear from you.